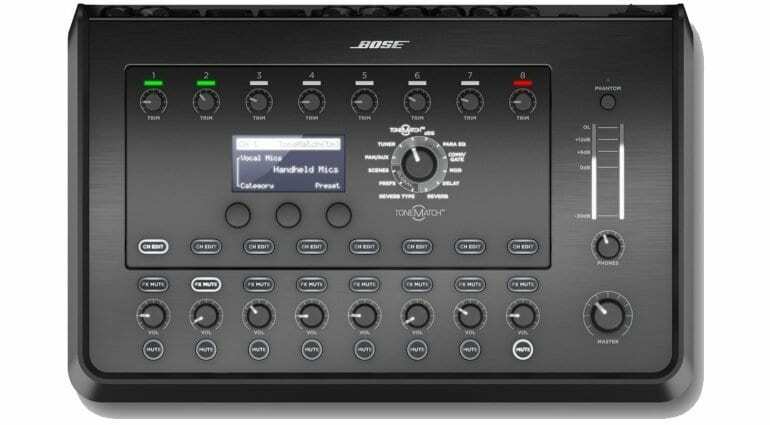 At NAMM 2018, Bose also announced its new T8S ToneMatch Digital Mixing Desk. Whereas Bose’s T1 digital desk had a mere 3 mic preamps and a stereo input, the T8S features a complete 8 mic pres section with an additional 2 line inputs and 2 USB connectors for media playback and Mac/PC interfacing. Additionally, the T8S connects with Bose L1 Model II and L1 Model 1S line array systems with the included ToneMatch cable. This way, Bose now has a solution for covering the live sound needs of a full band… or a single drummer with an overpopulated mic locker. 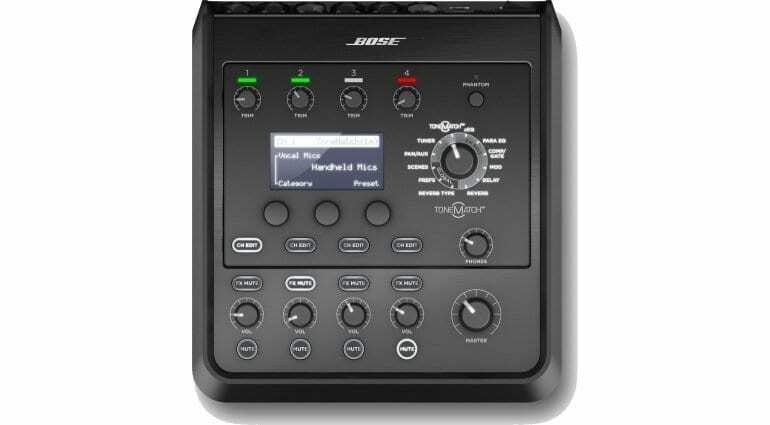 As expected, the desk features Bose’s ToneMatch system for on-board effects and processing. Its efficacy is the reason why the T8S has such a barren front panel in terms of control and colorful lights. 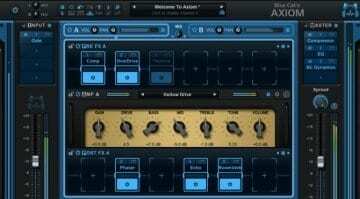 Each of the eight channels has an EQ and ToneMatch presets so that one can easily find a ready-made EQ setup for a range of instruments and vocal microphones. Furthermore, the T8S’s digital capabilities bring re-callable scenes, a master EQ for matching room acoustics, an AUX reverb send, digital outputs, and USB connectivity. 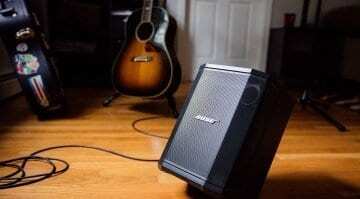 Bose is also offering a scaled-down version of the T8S with 4 mic preamps called the T4S. It’s otherwise identical to the T8S. 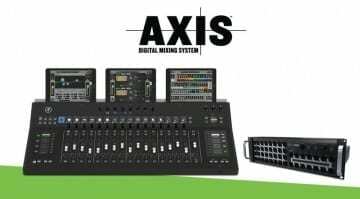 Overall, these are very sensible and thorough upgrades to the T1 system and will surely find a place in the stage rigs of many live sound engineers and touring musicians. 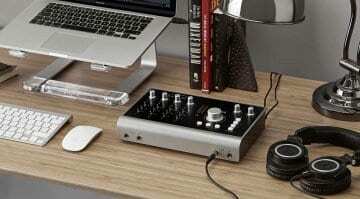 Can they stand head-to-head with Allen & Heath’s SQ digital mixers, though? We’ll have to see about that! Both the T8S and T4S are available to order. Prices are GBP 800 / USD 899 for the T8S and GBP 529 / USD 599 for the T4S. The desks come with a 2-year warranty and 30-day money back guarantee.